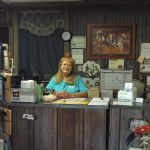 Ask fellow campers about "Ole Towne Cotton Gin RV Park" and nearby attractions. The owner is a sweetheart. We arrived with a 3-day reservation but realized there wasn't much to see or do and she agreed to let us leave sooner or not as we chose. Great spot for a night or more even though the occasional train and highway create some noise. Run a small fan in when you sleep and the white noise removes most of the disturbance. The park is clean, well maintained and all utilities work well. We camped at Ole Towne Cotton Gin RV Park in a Motorhome. Overnight during major thunderstorms. Very hospitable greeting from the owner who kept office open for our late arrival. All utilities including cable were great. Some standing water in gravel sites. Very convenient to Hwy 287. Would stay here again. We camped at Ole Towne Cotton Gin RV Park in a Motorhome. For being in the middle of nowhere, Texas, this is a very good place to stop for one or a few nights. We stayed here in February a few years ago waiting out a snow storm in Amarillo and again last week. Lots of contractor rigs parked along the outer edge but they save the big pull-thru sites in the middle for the one or a few nighters. 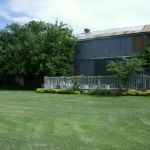 Grounds are well kept and improvements being added. Only thing that keeps me from giving it a 10 is the frequent freight trains whistling for a crossing about once per hour. Will stay here again. 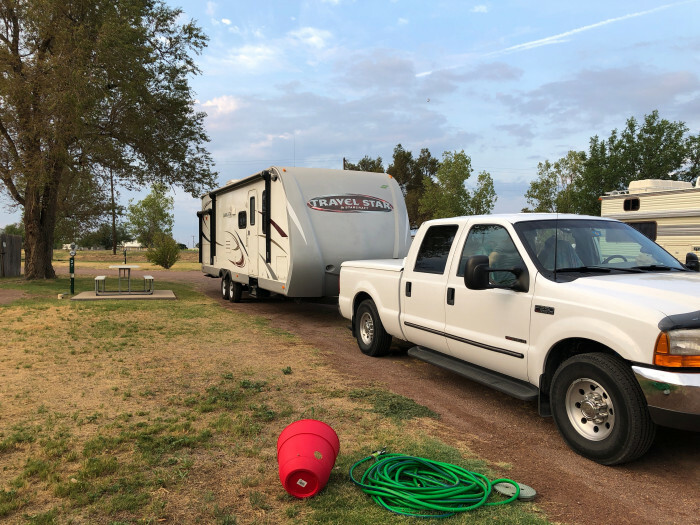 We camped at Ole Towne Cotton Gin RV Park in a Fifth Wheel. Quanah is 10 miles down the road with a good place to eat; Medicine Mound Depot on South side of town. Childress is 20 miles the other way with cheaper fuel, Walmart, etc. This park is in the middle of nowhere. We enjoyed the beautiful scenery on the way. The office is closed on Sundays so the lady called us on Saturday to tell us our site number and explained how to get to the site. She was very nice. She came by to greet us Monday morning. Utilities worked well. There was good cable TV. We camped at Ole Towne Cotton Gin RV Park in a Fifth Wheel. Very clean park, first time here. Easy on and off from Highway 287. Good spot for overnight going to Colorado. I really wanted to give this park an overall better score because the staff was great, the site and park was very clean but the trains kept coming by all night long with their horns going at full blast. It was on of those Texas nights that was not cold enough to close the windows or hot enough to run the A/C so we opened the windows and heard train after train. We camped at Ole Towne Cotton Gin RV Park in a Fifth Wheel. 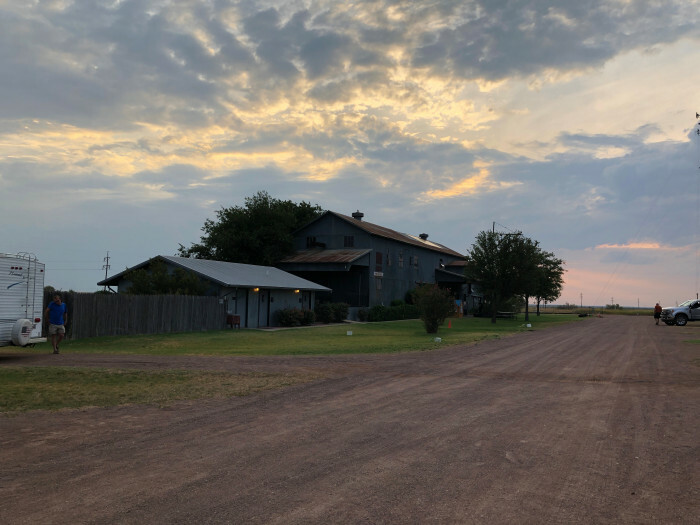 Quanah is not a large town but there are a few places to eat and you could take your time and visit some of their places of interest. Should be a lot of history in this town. Perhaps one day we will do that. A good spot for one night. This is a dirt/gravel park with grass between the sites. Very friendly staff. The access was easy and the park is very easy to maneuver with a 45ft motor coach. However the bathrooms looked like they had not been cleaned in a while. There is nothing in this "town" other than this RV park so make sure you have your food with you. They do charge extra for 50 amp. We would stay here again when driving between Texas and Colorado. We camped at Ole Towne Cotton Gin RV Park in a Motorhome. We stayed on Sunday night of Labor Day weekend. Park owner called to give us the site number because the office was closed. She called the next morning for credit card payment. Lots of room, nice pool, and interesting open area as part of the old gin. We will stay here again. We camped at Ole Towne Cotton Gin RV Park in a Motorhome. Great overnight stop on way to/from Colorado. Called ahead since we were arriving after office hours. Was assigned spot 29 for our 41' MH w/tow. Super friendly staff took our payment over phone and left paperwork at our site. Level pull thru with plenty of room for slides. We didn't use the amenities offered but the park overall is clean and neat. This park is well laid out, easy in/out & big rig friendly. Would definitely stay again. We camped at Ole Towne Cotton Gin RV Park in a Motorhome. 40 site park with long pull throughs; very level; good for big rigs; also a tent area. Pool, honor system laundry; two bathhouses; cable TV, large Cotton Gin area made into a community center with couches, TV, etc. open all the time. The water was great (well water); electric good. Not too many full timers; park in great condition and the staff very friendly. Small fenced dog park, but I found a dirt road going into farm land to walk the dogs. 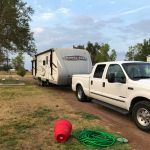 We camped at Ole Towne Cotton Gin RV Park in a Travel Trailer. Great stopover spot on 287. Arrived late and left early. They had me call ahead the day of the reservation and pay for the site ahead of time. Easy access from 287. There is some road noise and tracks run along most of 287 so that is unavoidable but it was not a problem. Site was level and I did not have to unhook. WiFi was very good and had really good speed for an RV park. 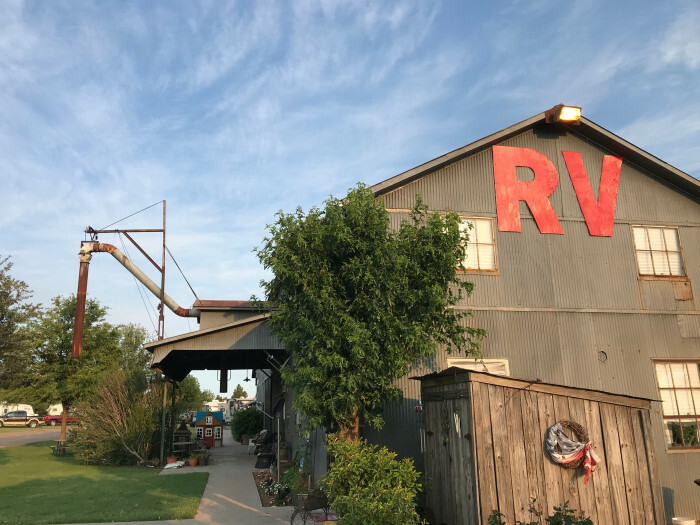 We camped at Ole Towne Cotton Gin RV Park in a Travel Trailer. Great spot for overnight stay. Right on highway, about 8 miles west of Quanah, TX. Front office personnel very friendly/caring. At check in, we appreciated being informed about previous night's storm knocking out WiFi. Tidy campground, with noticeable personal touches. Gravel roads/sites with grass, and the odd tree between sites. Good services. Very dog friendly (we set up kiddy pool for our lab while playing fetch); no problem. About a 4 hr drive NW of Fort Worth, so great spot to stay on first and last night of extended trip if you are based in DFW. We camped at Ole Towne Cotton Gin RV Park in a Motorhome. Pleasantly surprised by this place. Was not expecting to find it so nice. 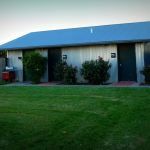 Friendly check in and nice facilities Will stay here on our trips through the area Easy in and out Pool Only one place to drop trash but its on the way out so not an issue Very nice gated dog area. 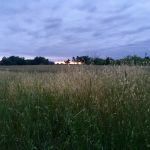 We camped at Ole Towne Cotton Gin RV Park in a Motorhome. Spent one night here and ended up needing a repair. After trying to find someone to come & help we ended up doing the repair ourselves. But office folks kept checking to see if we needed anything and provided what they could to help us. Will stay again if in the area. Not much in the area but lovely little campground with full hookup pull through and just got cable! We camped at Ole Towne Cotton Gin RV Park in a Fifth Wheel. Not a lot of things nearby. Closest town is Quanah and not many dining options. Stayed overnight. Cold, just beat the coming storm. Dog friendly. Close to freeway. 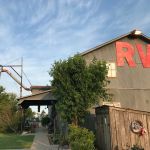 We camped at Ole Towne Cotton Gin RV Park in a Travel Trailer. Did not see much around. Quannah is about 6 miles from the RV Park. There are some gas stations and restaurants in there. The Ole Town Cotton Gin IS the attraction here, so come on a day the Gin is open to walk through. Quanah is about 9 miles South and Childress about 20 North. Not much in Quanah but Childress has a good bbq place and a truck stop where DEF is available. May not be the middle of nowhere but you can see it from here. A very small town, we stayed in so have no information on what to do in the area. 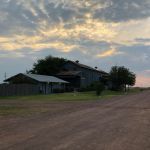 You are about 8 miles north of Quanah which is also a small town, but you might find a restaurant and small market there. Excellent overnight stop with easy access and close to US287. Have stayed here before, and will stay here again. Nearby state park has some Texas longhorn cattle. We only slept for the night. Didn't look like much was around here. Bring what you need with you. It's quite a drive to go for supplies. Copper Breaks State Park is nearby. The General Store in Quanah has fresh eggs from the owner's chickens. There is a historical museum and winery in nearby Childress. WalMart is 25 miles North in Childress. No nearby restaurants, no problem for us as we eat in our RV. Near Quanah Texas. On our list to come back and stay a few days and enjoy the history of the area. Call ahead and let them know you are coming, by dark they seemed to be full. Located in a very small village in north west Texas. Larger cities near by. A few miles South is Quanah, a very interesting town working hard to revive their Indian heritage. See the completely restored train depot. A large depot of the Fred Harvey era in adobe Spanish architecture. There is a museum with lots of railroad memorabilia and black and white photos. Also, pictures of the "Colored Waiting Room". It is culturally interesting and embarassing at the same time. A volunteer will be there to show you around and answer questions. Are you affiliated with Ole Towne Cotton Gin RV Park ?